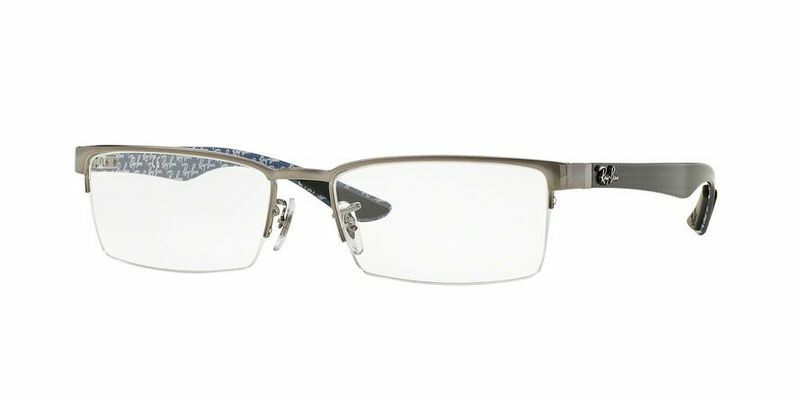 If you're looking for a pair of durable eyeglasses, opt for metal Ray Ban RX8412 frames. They will withstand the elements and are corrosion-free, meaning you'll get more for your money in the long run. Rock n' Roll meets vintage - you'll fall in love with these ultimate vintage-inspired Ray Ban RX8412 frames for hipsters. Everyone needs a bit of quirky in their lives. Wear them how you want - it doesn't matter, because you'll still look like you've stepped right out of the pages of a glossy magazine from the 60's. Comfort is key when choosing the right pair of glasses for you. For maximum comfort, opt for a pair of Ray Ban RX8412 glasses with high temples that conveniently hook over the ears for extra security.